In speaking with a CEO of a major EHR/PM vendor recently, the conversation about the future of health IT kept coming back to money. Not necessarily the money saved by practices because of the implemented technology, but the money being flushed into the space by the government. 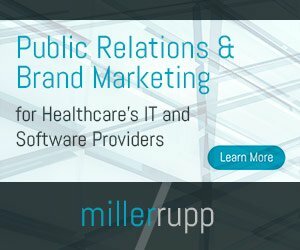 Though the money is flowing and the incentives are pouring into the economy and getting freely spent, there are obviously some still inside the vendor (and probably the practice) space that remain concerned about the viability of the government’s financial involvement in health IT in the long term. The federal government’s money has created the structure of what we now know as health IT. Because of the push – the money, or the carrot and the stick, if you will – there’s now a deeper foundation set; there are studs and rafters in place, and even a few pieces of siding in some cases. With roughly half (being generous) of the ambulatory market currently using some sort of an EHR, ground has obviously been gained in the market. It would have come eventually, the advancements, but the federal incentives no doubt hastened the proliferation of the technology. But, for the sake of argument, let’s say the federal money drives up or is re-appropriated. What happens then? Where does that leave the market, as my CEO colleague hypothesized? I hadn’t exactly thought of it that way, especially now at this late stage in the program. But the man does pontificate an interesting point. Given all of the money flowing into the health IT market, it’s one of the few booming economic segments, and given the number of parties staking claim to it hoping to make monumental returns on their investment, the scenario actually brings another very similar boom to mind. From early 2004 though 2005, the profits were record breaking. Ad sales were way up, circulation was expanding into new markets and staffs were being bumped up to counter efforts made by the competition. However, by late 2006, as a cautionary note, hiring slowed and expansion stopped. At the beginning of 2007, the layoffs began. Reporters, editors and production staff were cut. The newspaper chain I wrote for shuttered offices and cut more costs. Another round of employees was let go. Ad revenue hit the floor; newspapers stopped circulating, the market shrank and even more people were laid off. The business entered a tailspin that even now, five years later it hasn’t recovered from. The boom times went bust, and for newspapers, caught up in the seemingly never ending flow of cash from advertisers, who happened to be home builders and contractors, little planning for the future was done and any thoughts of a rainy day fund seemingly were little more than thoughts. In Florida, at the time, you couldn’t spit or throw a stone without hitting a new housing development or condo conversion. There were housing starts everywhere. Houses, in all phases of development, were being erected. The building was constant. There was no end in sight. Contractors were hiring employees everyday, banks were lending, people were fighting, literally, over houses that were for sale. When the boom was booming, everything even peripherally related to the market was booming. But when the housing market busted, well, I don’t need to tell you about how that affected each one of us. So, my friend the CEO asks an interesting question. One that was probably asked thousands of times during the great housing bubble of the middle of the 21st century’s first decade: What happens if, God forbid, the money suddenly runs out of Health IT? Come down to South Florida and see. I’m sure you could get yourself a pretty good deal on one of the thousands of properties sitting half built and empty. Sure, they’ve got a good foundation, walls, rafters and, in some cases, a bit of siding, but they sure aren’t much to look at much less much better to live in.